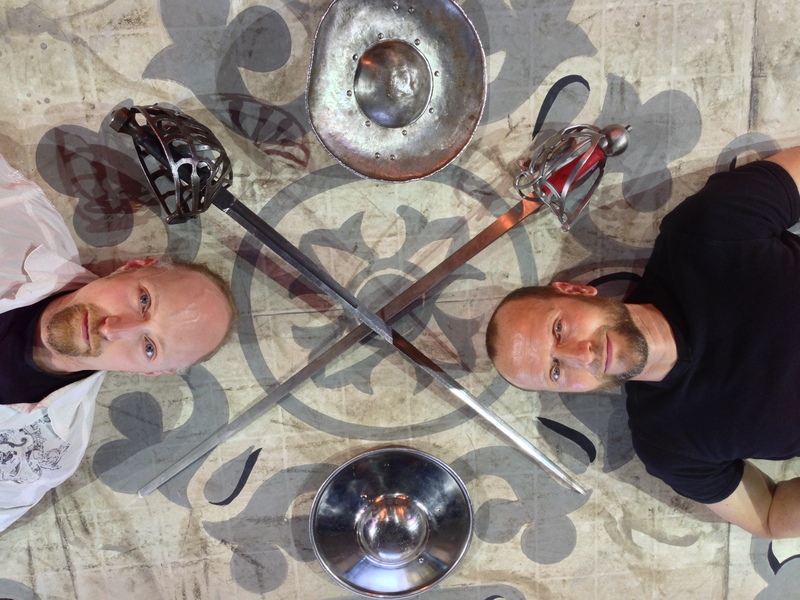 Swash your buckle: A Night of Swords and Words! | AUTHOR. ACTOR. SWORDSMAN. Swash your buckle: A Night of Swords and Words! Maestro Boorman. myself, and weapons, Centre Stage at Bard on the Beach, Vancouver. On July 22nd we are launching my new novel, ‘Shakespeare’s Rebel’ in Canada, at Bard on the Beach, Vancouver with a night of swords and words. Fight demos, weaponry, the Bard himself (well, his words! )… I am even picking up a broadsword myself and having at it! Oh, and here’s some sneak footage from an early rehearsal. Trust me, the fight’s going to be way faster and more spectacular. My opponent: big boy, ain’t he? And so young! This entry was posted in Uncategorized and tagged book launch, historical fiction, Inspiration, novels, public readings, publishing news, shakespeare, swords, theatre, Writing. Bookmark the permalink. 2 Responses to Swash your buckle: A Night of Swords and Words! The Academie Duello guys are great. I’ve watched their videos for fencing drills before. Reblogged this on Author Diana Arco.